Hey guys this is my Unboxing & First Hands-on of the Elephone P9000 with NFC, Wireless Charging, Accessories, 4GB/32GB and Sony IMX258. 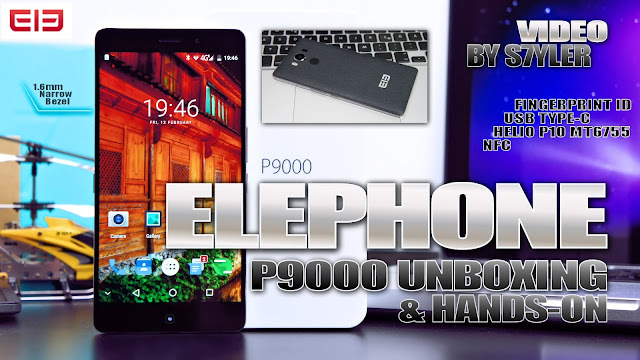 In this video I introduce & review the Elephone P9000. After that I put it through various tests and show you some results. I also remove the backcover, so you can have a look inside and what the battery info actually shows. In the end of the video I list all the pros & cons, so if you just want to know if this device is for you or not, just jump to the conclusion in the end of the video! Elephone advertise with an 1.6mm thin bezel, but it is in reality 2.3mm. Small difference, but the bezel is still very thin. - Gyroscope, G-Sensor, P-Sensor, L-Sensor, Hall, E-compass etc.